A vatting of 5 and 6 year old malt whiskies which have been aged in both ex-Bourbon and ex-Oloroso Sherry barrels (with a bias towards the Bourbon casks). The style of the whisky is typical peated Islay with a strong medicinal and maritime aromas, the palate has a pleasantly buttery texture and typical fresh fruit flavours usually found in young malt whiskies. Nose Soft cooked fruits, strong peaty aromas and citrus. Palate Mixed fruits, vanilla and an intense sweetness. 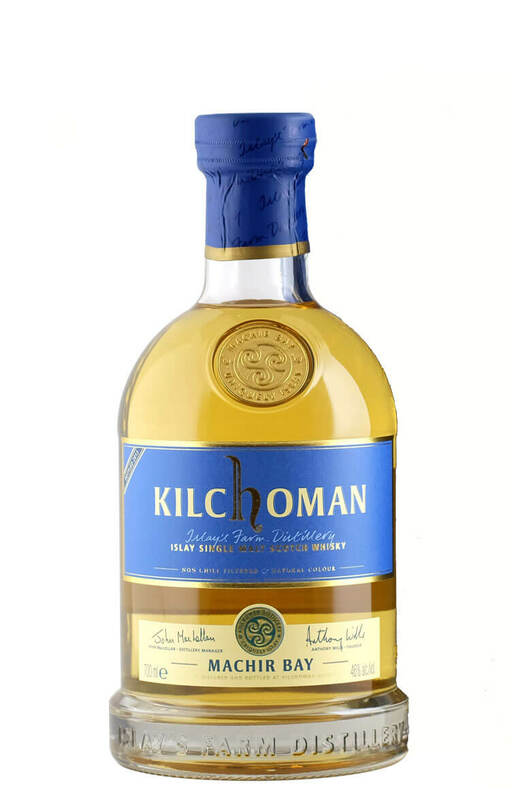 Finish Signature Kilchoman, with a long lingering finish. Types of Barrel used for Aging A mix of ex-Bourbon and Oloroso Sherry barrels. Style Peated, double distilled single malt. Any Additional Information of Note Non-chilfiltered. Awards and/or Press Quotes Silver Medal at the San Francisco World Spirits Competition 2019 95 points (Ultimate Recommendation) and 94 points (Highly Recommended) at the Ultimate Beverage Challenge.